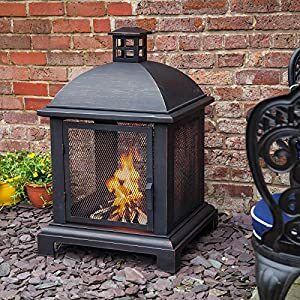 We are delighted to stock the brilliant Caicos 40 Fire Pit Lantern Log Burner. With so many on offer recently, it is wise to have a name you can trust. 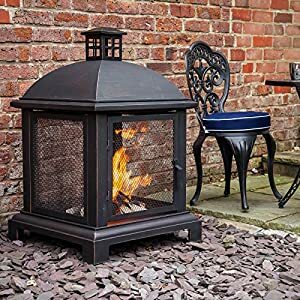 The Caicos 40 Fire Pit Lantern Log Burner is certainly that and will be a perfect acquisition. 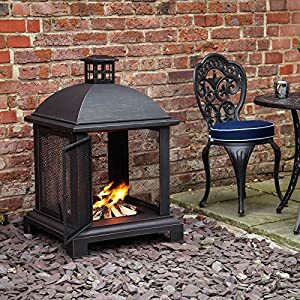 For this great price, the Caicos 40 Fire Pit Lantern Log Burner comes highly respected and is always a popular choice with many people. Fire Mountain have included some excellent touches and this means great value for money. 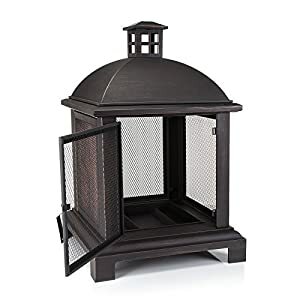 This large fire pit is made from black powder-coated steel, giving it strength and resistance to heat & corrosion to ensure a long-lasting feature for your home. For a stylish look, the black steel has a brushed antique copper effect finish, adding subtle colour and texture to the surfaces. 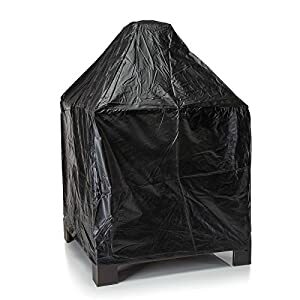 The heat resistant coating can withstand temperatures up to 500 degrees Celsius. At over 1 metre tall with a large central fire pit section, there's plenty of room for wood or charcoal to build a fantastic roaring fire. At the front is a hinged door providing access to the fire pit, with a handle that can be turned to lock the door shut. 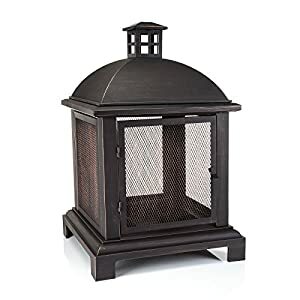 A high domed top with mini central vent directs smoke up and out, and ensures good air flow from the mesh sides. Four low legs provide stability during use. 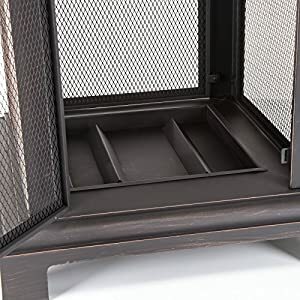 In the bottom of the fire pit is a removable shelf, making it much easier to clean up leftover wood or ash once the fire has gone out. We recommend only burning wood or charcoal in the pit. To extend the life of your fire pit, we also recommend putting play sand into the bottom, to further protect it and make cleaning easier. The Caicos Log Burner comes with a free poker for tending the flames and opening the door, as well as a waterproof polyester cover to protect it when not in use. Fire pits should not be used on decking or any flammable surfaces.